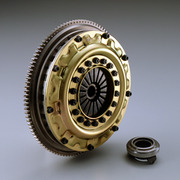 1JZGTE Parts for all 1JZ Based Vehicles including JZX100-jzx110 Chaser, Cresta, Mark II, and all sports cars that are graced by this engine range. - 1JZ Transmission, Drivetrain, Clutches, Etc. Home 1JZGTE Parts // JZA70 // JZX100 // JZX110 // Mark II // Cresta1JZ Transmission, Drivetrain, Clutches, Etc. 1JZ Transmission, Drivetrain, Clutches, Etc.